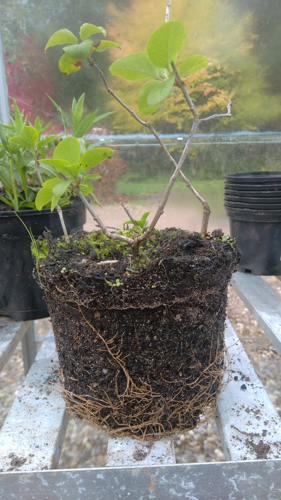 The cuttings were struck into a gritty compost mix comprising 2 parts compost to 1 grit sand by proportion, and then placed in the cool unheated end of the glasshouse. 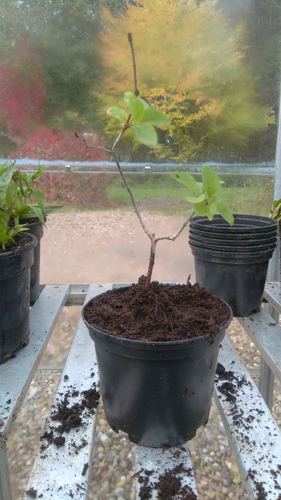 The Lilac cuttings were then placed outside in spring this year to initiate further root development, with the addition of an even air flow around the foliage of the cuttings as a preventative measure against any pests and diseases. The moss lawn /healing garden project was an inspiration born out of a mix of gardening for the elderly, being a volunteer gardener for the NHS (ongoing), and a keen interest in Bryophytes, particularly in relation to Japanese style gardens. This style of garden creativity increases a sense of calm which enhances mental and physical well-being. The visitors' reactions at Hipping Hall are a mix. 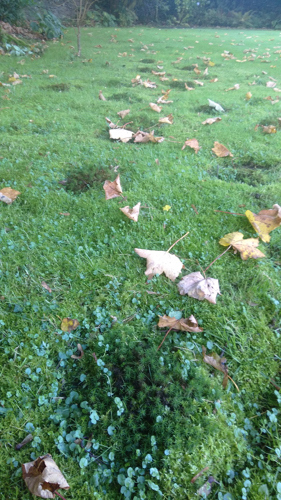 Those slightly thrown by this feature include comments such as, 'but I am trying to remove the moss from my lawn'. The main Bryophytes planted in this project are taken from the woodland area at Hipping Hall, from the woodland carpet, and also the dry stone walls that border the woodland. 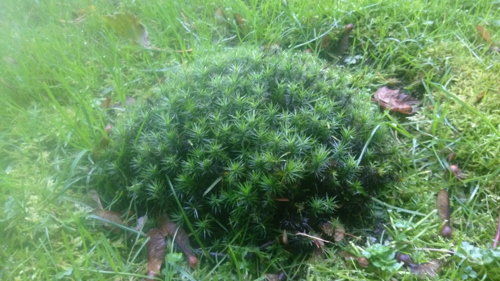 The moss is Polytrichum commune, unlike the mosses that normally reside in lawns. Since the spring of 2017 the individual clumps have doubled in size. Most visitors are very intrigued by the concept of the moss lawn/ healing garden, and some very interesting and positive comments have been expressed. 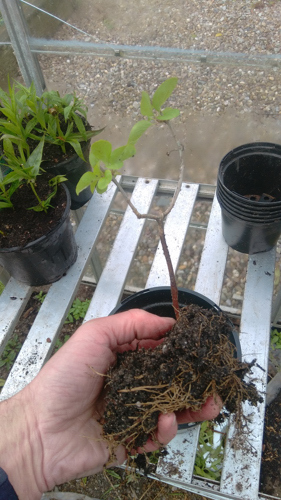 0 Comments To "Syringa vulgaris and Moss Lawn healing garden"